As a Church of England school our school values are taken from the Gospel values that we learn from the life of Jesus as told in the Bible. We try hard to live out our values, both inside and outside of school. Our values are central to our worship, work and play. 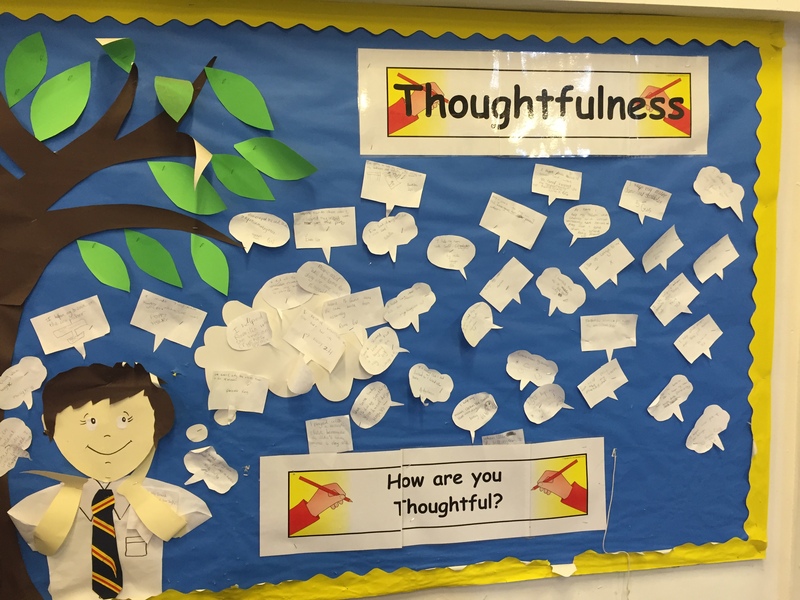 Interactive displays help children focus on individual values. 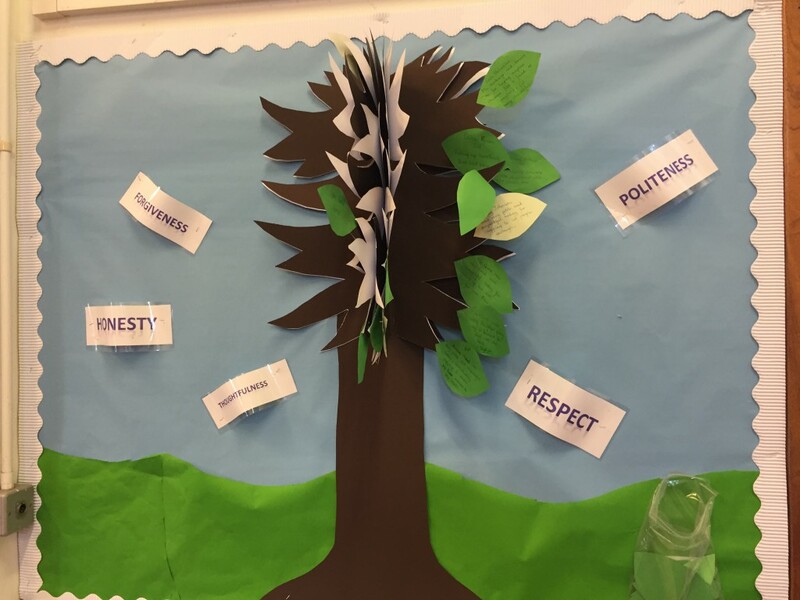 Our values tree shows where children have been awarded for showing our values in their behaviour in school. 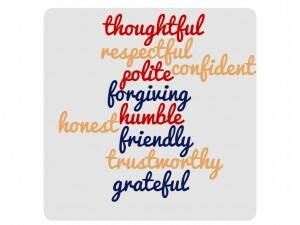 Our school values are interlinked with core British Values. Democracy is part of our working practice at the school. Pupils are always listened to by adults, and are taught to listen carefully and with concern to each other – respecting the right of every individual to have their opinions and voices heard. Pupils have their own voice, and are able to air their opinions and ideas through our School Council. The election of the School Council members is based on pupil votes, demonstrating democracy in action. Voting is also an element of a range of day-to-day activities such as School Council meetings, deciding the chosen charity of the year and how Collective Worship can be improved. The importance of laws, whether they are those that govern the class, the school or the country, are consistently reinforced. Our core values are reflected in children’s routines every day. Each class follows school rights and responsibilities that reflect strong core values. Our behaviour policy, as well as promoting good behaviour and effort, also makes it clear that if rules are broken there are consequences. Children take part in reflecting and identifying how to make amends. Our children are also taught that there are laws to protect us, and when these laws are broken we are potentially putting ourselves in danger, and could find ourselves in trouble. To actively promote partnerships with parents , the HWBG will work with parents to produce a ‘Code of Conduct’ for prospective and new parents. The consultation, and subsequent policy, will reinforce parents’ responsibilities to observe the collectively agreed school’s behaviour policy and the rule of law. Within school, pupils are actively encouraged to make choices, knowing that they are in a safe and supportive environment. As a school we educate and provide boundaries for our pupils to make choices safely, through the provision of a safe environment and an empowering education. Our pupils are encouraged to know, understand and exercise their rights and personal freedoms and are advised how to exercise these safely; examples of this can be clearly seen in our assemblies, PSE and safe internet use procedures. Whether it is through choice of challenge in maths, of how they work in groups and record their work or their choice to participate in one or more of our numerous extra-curricular activities, our pupils are given the freedom to make choices. 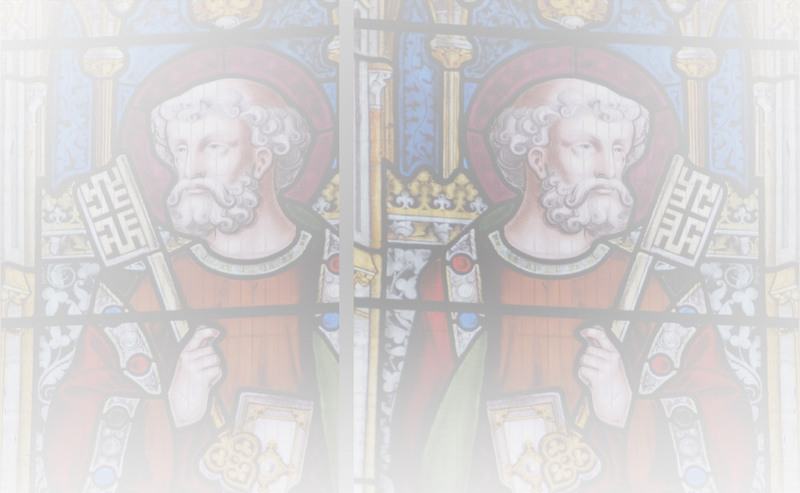 St Peter’s Primary School enhances pupils’ understanding of different faiths and beliefs through religious education studies, P.S.E, assemblies and topic work. This is further enhanced through carefully planned educational visits and by welcoming parents and visitors from outside the school. Through this our pupils gain an enhanced understanding of their place in a culturally diverse society. Despite the lack of cultural diversity in the school, we make every effort to highlight important events such as Chinese New Year, Diwali, Eid etc.